Dan Strickland’s official title is Mission Australia Area Manager – South Eastern NSW & ACT, but most AMCN readers will recognise him as the face of our annual Winter Jacket Drive, which has provided Australia’s homeless community with bone-warming, life-saving motorcycle jackets during the winter months since 2012. Thanks to Dan’s input, the annual drive has grown to a national event with a core group of committed corporate partners. 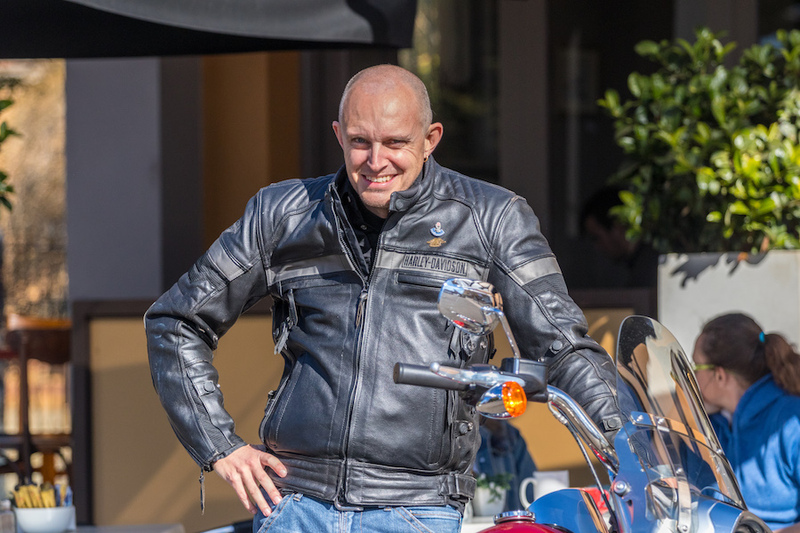 AMCN had the honour of introducing Dan to motorcycling at the very first AMCN Winter Jacket Drive. Since then, he’s taken to life on two wheels like a duck to water. 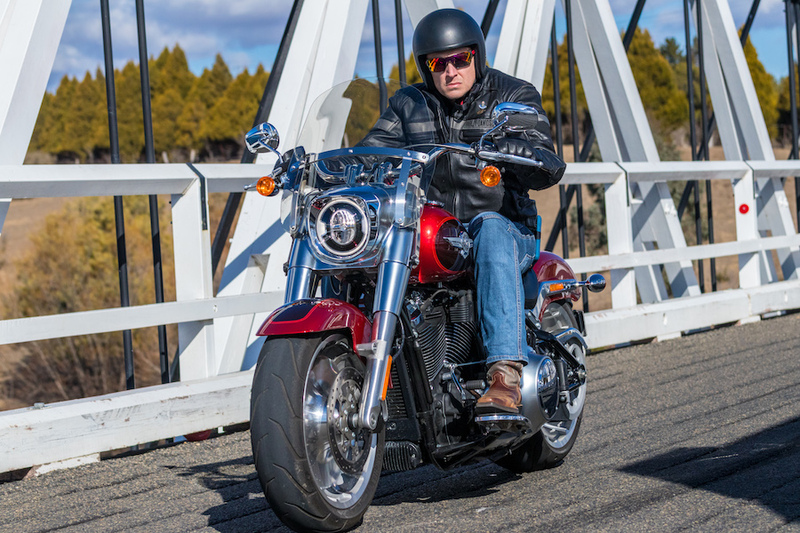 He’s now a keen Harley-Davidson rider and has been eyeing off the 2018 Fat Boy Softail since its release, so we lined him up with the optional 114 cubic-inch Milwaukee Eight-powered version and headed out for a day’s riding on the glorious roads between Goulburn and Canberra. Your position with Mission Australia isn’t just about working with the homeless. For the past 16 years I have worked for Mission Australia. I started as driver with its iconic Sydney transport and outreach service, Missionbeat. Prior to this I was a police officer for six years. I have been fortunate to have met and assisted hundreds of people doing it tough – some of the most marginalised members of our community. I have been the voice for our voiceless. After leading the Missionbeat team for about 12 years I took a senior leadership role at Mission Australia as the Area Manager for South Eastern NSW & ACT, based in regional NSW at Goulburn. 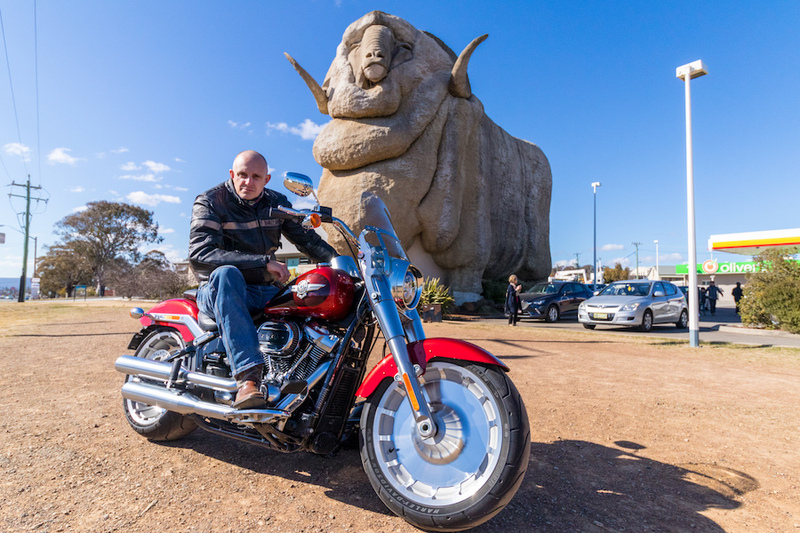 My role takes me across the region to some beautiful sites, including the Snowy Mountains, the far south coast including Bega and Eden, all beautiful riding country. The services we deliver include homelessness programs, women’s domestic violence refuges, child protection programs, gambling counselling services, and many other community services programs. It’s an awesome job. 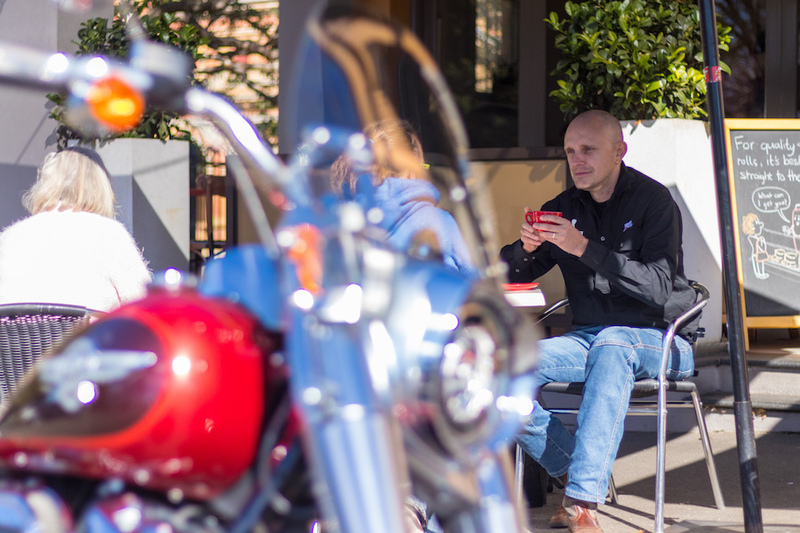 Seeing the bikes on the first jacket drive in 2012 is what got you hooked on two wheels? I remember the first year of the AMCN Winter Jacket Drive and checking out the bikes that accompanied us to distribute the jackets to the city’s homeless community. That’s when I knew I wanted to get my bike licence! Yes, my wife hates the magazine for this. So your wife wasn’t too keen on the idea? I caught her at a moment of weakness and she said, ‘Okay, get your Ls, but you aren’t getting a bike!’ I passed my Ls and then said, ‘Well, I may as well get a bike.’ Next minute I had a Kawasaki Ninja 300 in the driveway. Being a father of five, I had a line of kids waiting to be my first pillion once I had my full licence. From a Japanese sportsbike to an American cruiser; what are you riding and what made you go with the Milwaukee brand? It was a couple of years later when Harley-Davidson came on board as a supporting partner of the AMCN Winter Jacket drive. They loaned me a 2014 Fat Boy to use for the distribution of jackets and I fell in love with the brand and the bike. While Mrs Strickland was a bit concerned about me having a loan Harley, she made it clear I wasn’t getting a new bike. Oops, a couple of months later I was throwing a leg over a 2011 Harley-Davidson XL1200 CA Sportster. I had the Sporty for a bit over a year, and when I was looking to upgrade to something more comfortable I thought I would be a little more strategic. I took Mrs Strickland for a run from Goulburn to Gunning and, low and behold, she said, ‘You should get a bigger bike, something more comfortable.’ So we went for a ride on a 2017 Ultra Limited and she loved it! So I got the green light. How does the big Ultra Limited compare to the new Fat Boy we had you on for our ride? The power the 114 Fat Boy had from a standing start was a bit quicker than the 107 in my Ultra Limited, helped by the lighter weight. And I felt the difference without the fairings at highway speeds on a day that only topped about five degrees! If money was no object, what would you be riding? A 115th Anniversary Tri Glide Ultra or CVO Street Glide. What’s your ultimate Sunday ride? Loading up the bike with some picnic items and the wife or one of the kids and heading out with no plan or destination in mind. What’s the most satisfying part of your job with Mission Australia? I have a passion for ending domestic and family violence in our community. Across my area we deliver programs to assist women and families escape domestic violence. I’m also an ambassador for White Ribbon Australia, which is about standing up and preventing men’s violence against women. Some of the jackets donated by AMCN readers have in fact saved lives. I have heard stories back from recipients of the jackets who have said: ‘I was so cold and didn’t know what to do, I just could not get warm. I got one of the jackets and it kept the wind away and kept me dry. I may never ride a bike but I feel pretty awesome in my jacket and I’m now warm at night while I work with my case worker to get a permanent safe place to live’. It has been heart-warming to see people still using their jacket years down the track and it becoming one of their prized possessions. What’s the most significant challenge facing the homeless problem in Australia? While the visible face of homelessness is the people you may see sleeping rough on local streets, these people only account for about seven per cent of the total homeless population, according to the census figures from 2016. Across Australia there are about 116,000 people who are homeless. The biggest challenge is a lack of affordable housing, and we need an increase in housing stock and an effort to support people once they are housed. I would love to see a plan from our government to end homelessness by 2030. We have seen it happen in other countries and there’s no reason we can’t do it here.